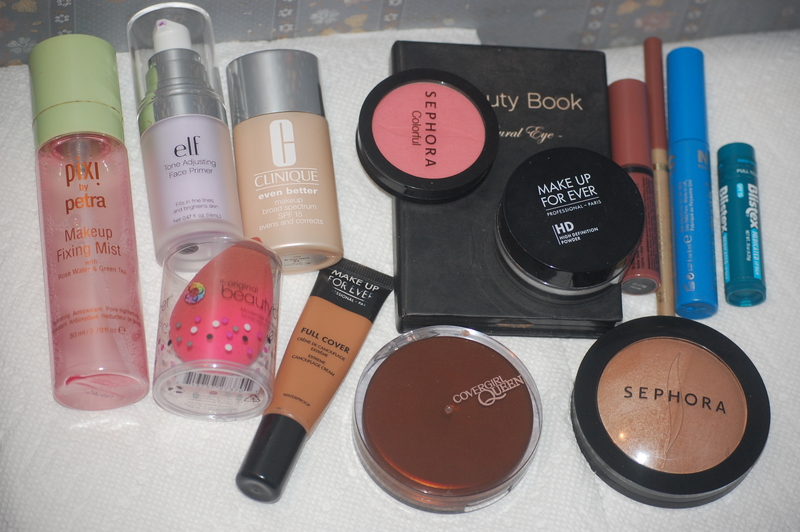 All of the items I use when I do my makeup on a regular day. 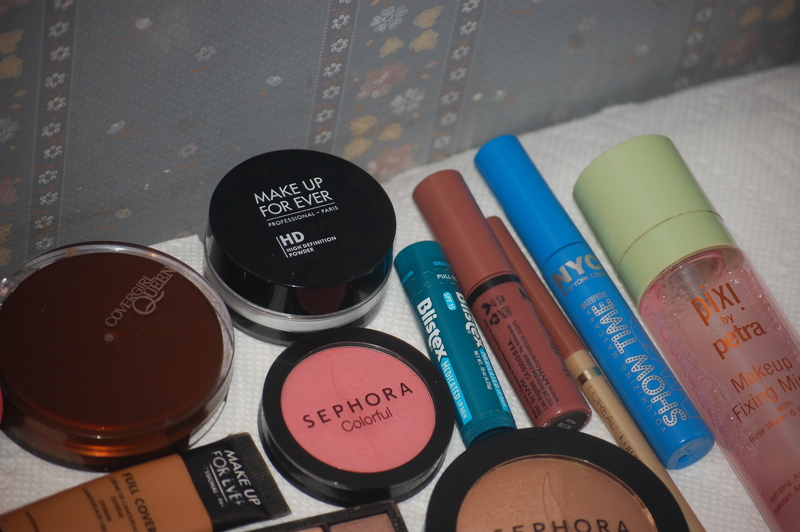 The List: Elf Tone Adjusting Face Primer, Make Up For Ever Full Coverage Concealer, Clinique Even Better Foundation, CoverGirl Queen Pressed Powder, Make Up For Ever HD Microfinish Powder, Sephora Colorful Blush & Bronzer, Pixi Makeup Fixing Mist, Elf Natural Eye Palette (Similar), NYX Butter Gloss, The Original Beauty Blender. 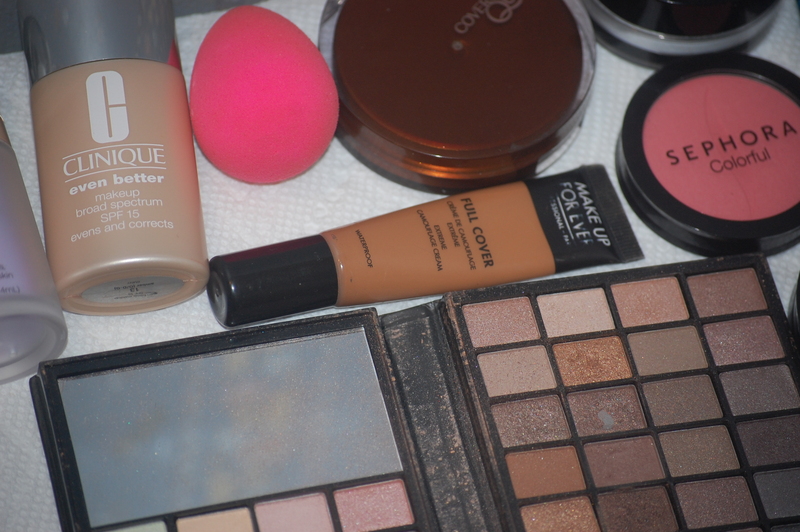 Right now, the most expensive item I have is my foundation. 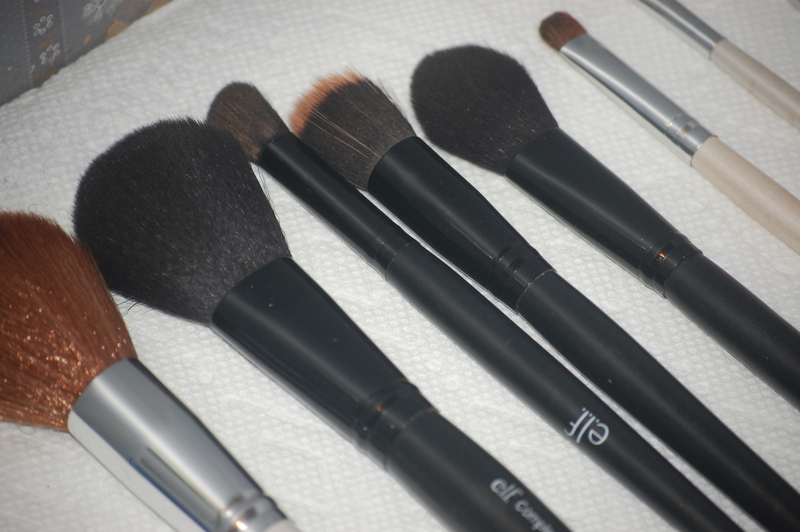 Hopefully, I will be able to “move on up” this year with different products and having confidence to try them out. We’ll see! Do you have a tried-and-true lineup? Any recommendations?